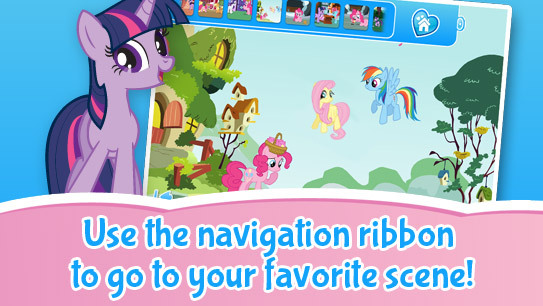 Your favorite ponies are here: Pinkie Pie, Rainbow Dash, Fluttershy, Applejack, Twilight Sparkle and more! 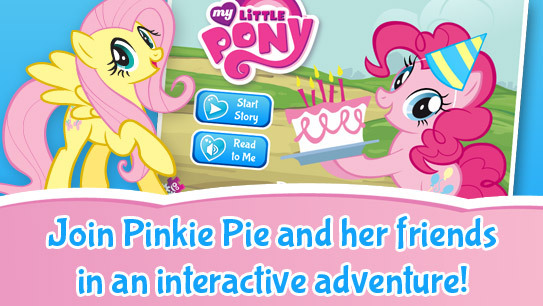 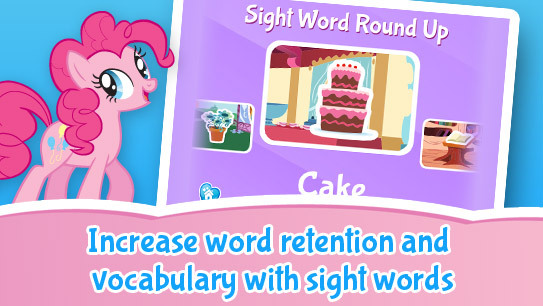 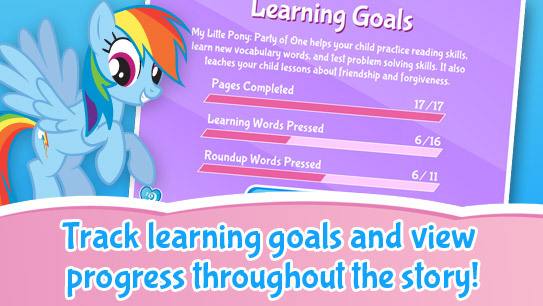 Featuring Pinkie Pie’s official TV voice in the app! 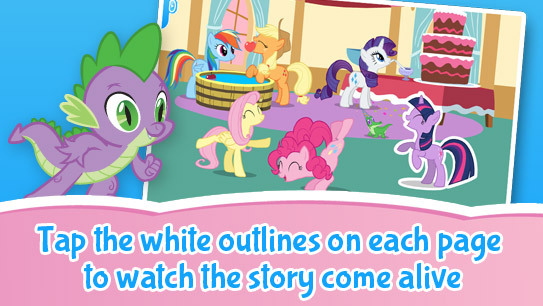 17 scenes that come to life as children tap and explore each page.